As I mentioned in my last post, I had my postpartum exam and I have been cleared to resume my normal activities post baby. 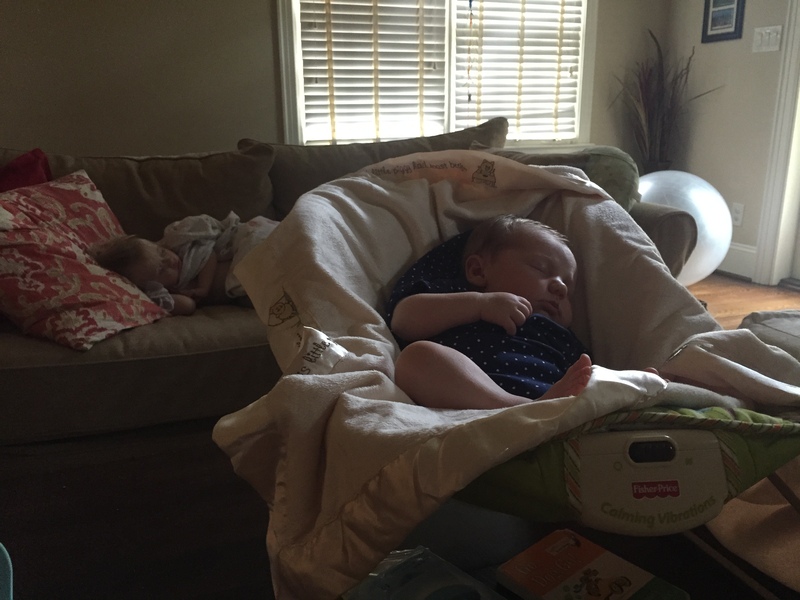 That said, this will be my last blog in the series that I have been documenting my postpartum recovery. So how did the week go? 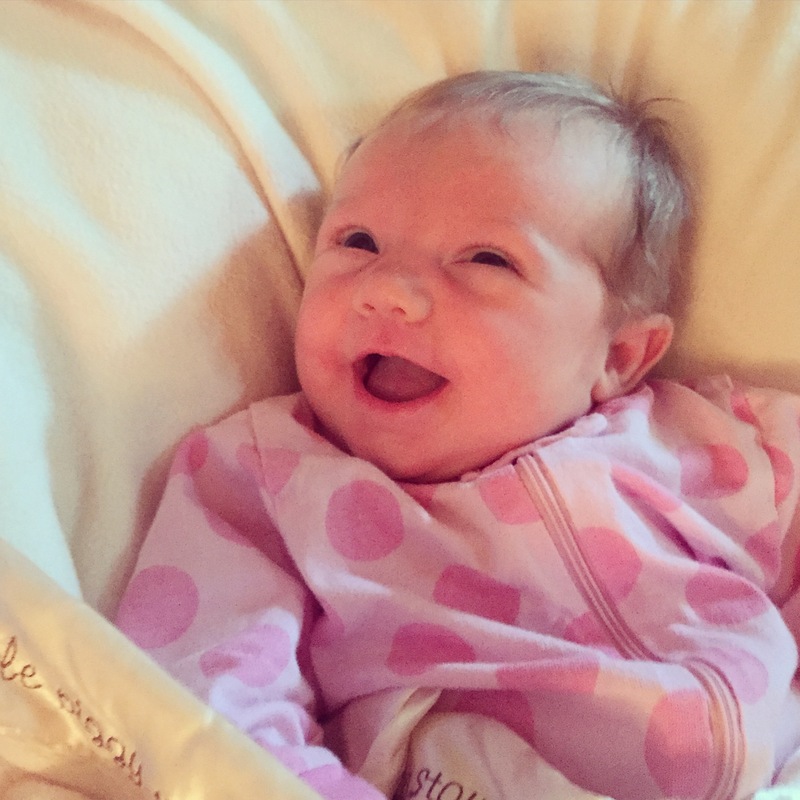 First things first, the baby officially slept in her crib for the first time this week! This is a relief for my husband and I. My oldest daughter was in her crib her second night home from the hospital. Again, every baby is different. My oldest daughter’s sleep habits were an anomaly. 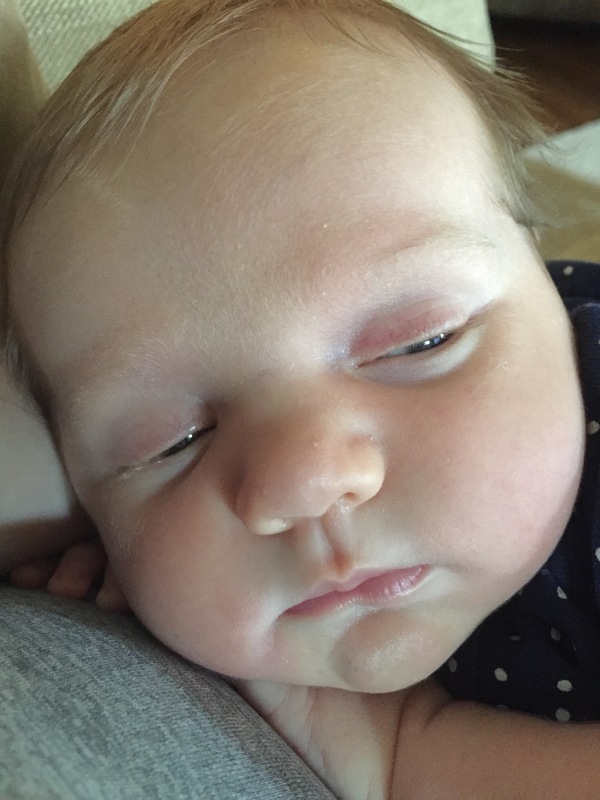 Again, I was not ready for a “normal” baby’s sleep schedule. My youngest still wakes up two to three times per night. However, she is starting to sleep for longer periods at a time. This makes mom happy. With her in her own room, I am less likely to wake up every time that I hear her move. 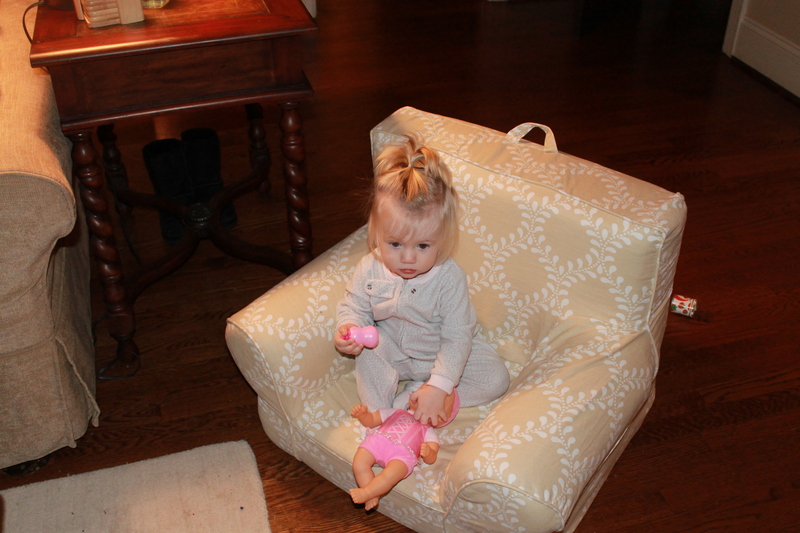 She enjoys sitting up in her Boppy pillow and looking around the room. 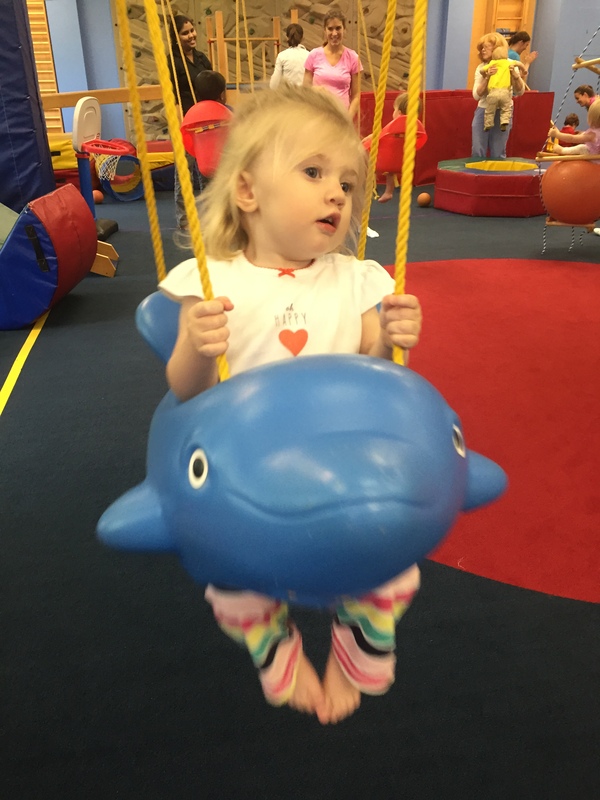 One thing that I did learn from my oldest daughter’s daycare, is the double Boppy trick. 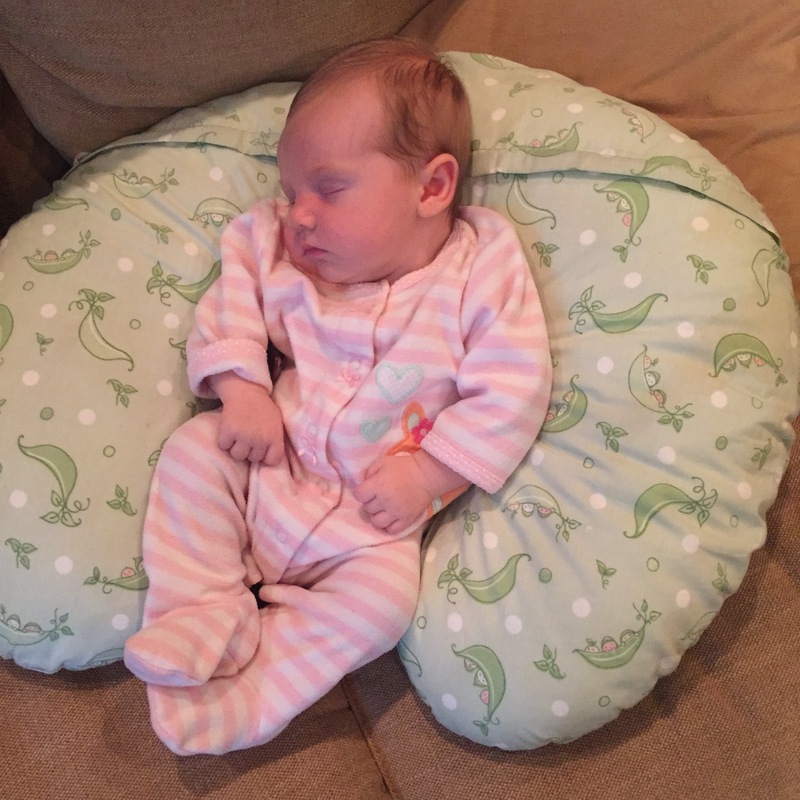 For babies that can’t support their neck, propping two Boppy pillows on top of each other or placing a pillow slightly underneath the back of one will give them the lift that they need to sit up like a “big” kid. It’s a whole new world for them! I officially started eating healthier this week. Did I mention that I was asked to be in a wedding that is this weekend? Wedding pictures last a lifetime. I wanted to lose a pound or two before we headed out of town. Let’s face it, I know that I will put a pound or two back on with all of the eating and drinking surrounding the festivities. 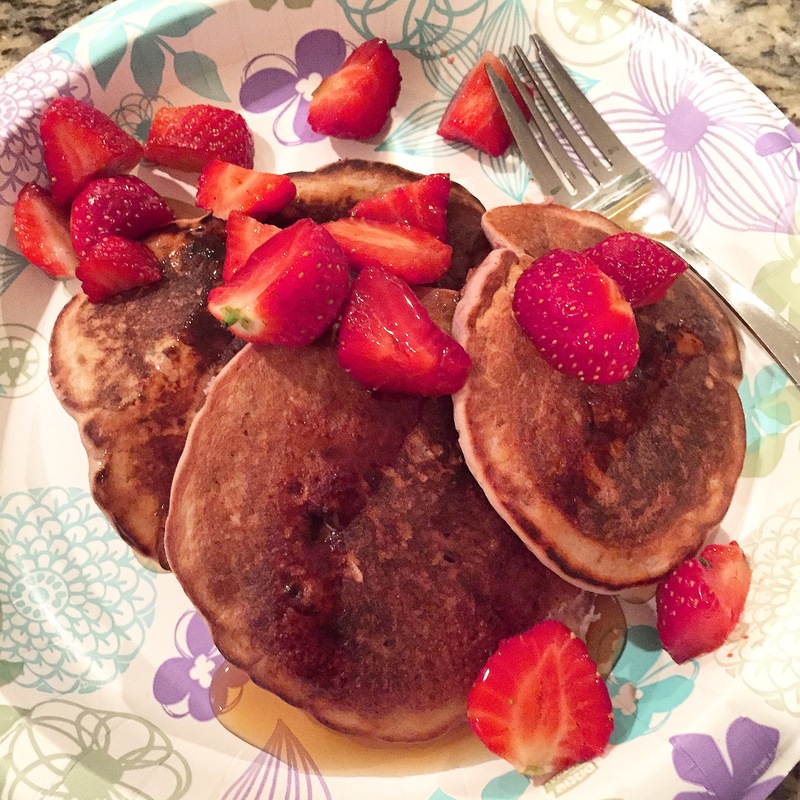 My husband woke up early on Sunday to cook us whole wheat pancakes stuffed with bananas, berries and peaches. He topped them with strawberries. He makes enough that my daughter and I can enjoy them during the week for breakfast. The added flavor from the fruits makes these so good that I can eat them cold like a piece of gourmet bread. I know you saw the edamame salad recipe that we had this week. If not, take the time to check it out. Eating healthy is only one aspect of being fit. I upped my exercise intensity once again this week. Thursday 4/23 – At home strength workout. See picture below. 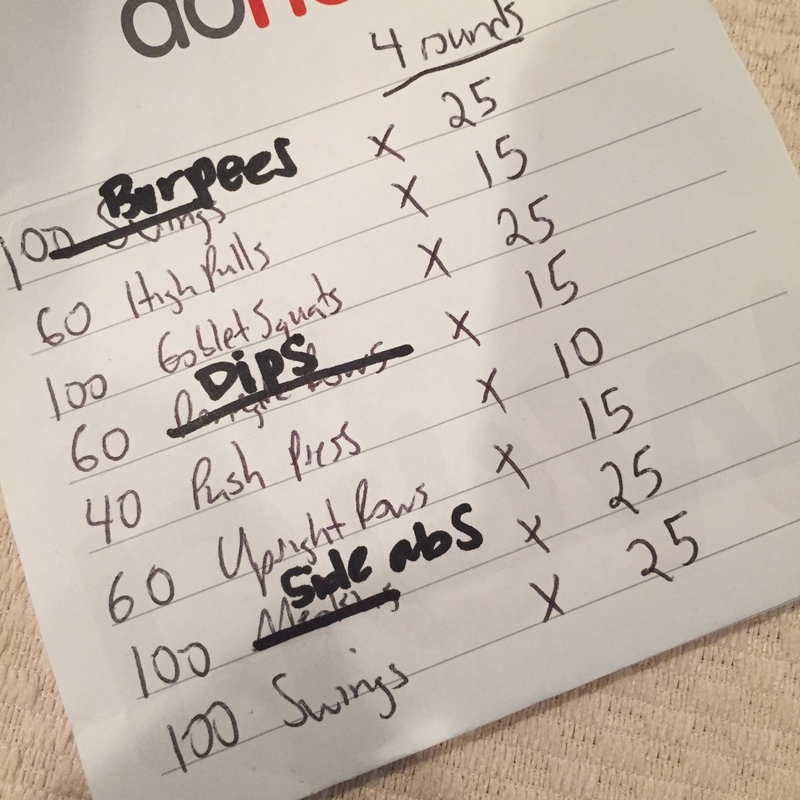 I did a variation on a workout that my husband had done earlier in the week. 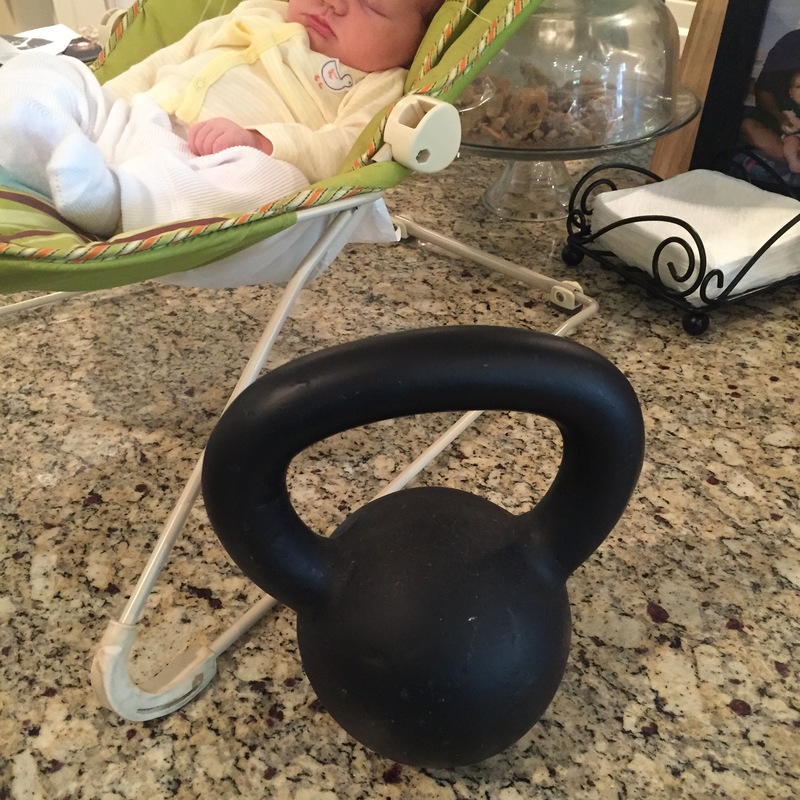 Grab your kettlebell! Friday 4/24 – Ride Flywheel. Power number 307! Saturday 4/25 – Strength workout. Baby was napping beside me. No excuse. You can do it! 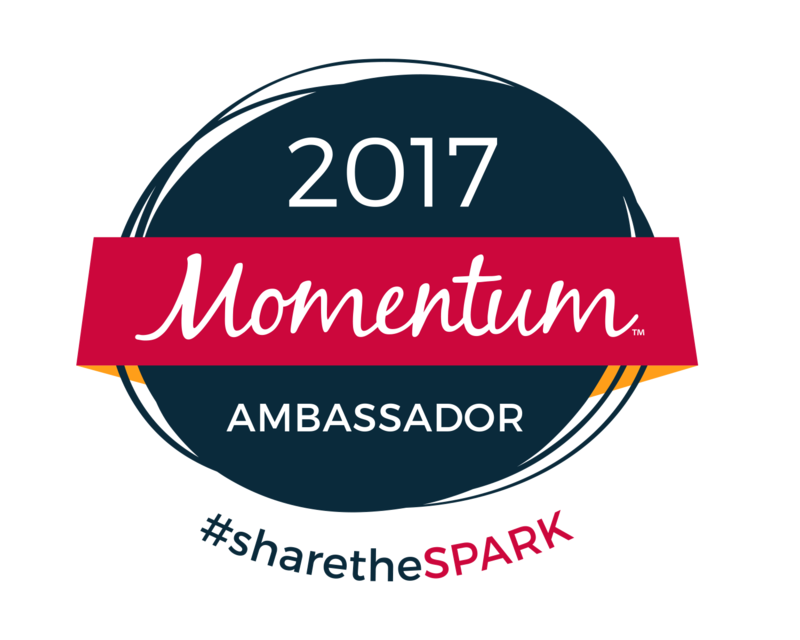 Monday 4/27 – Disaster day. Really, the day I was cleared and my plans thrown out the window. I squeezed in a quick cardio strength workout. See post for details. I did this workout straight out my front door. No need for a track. 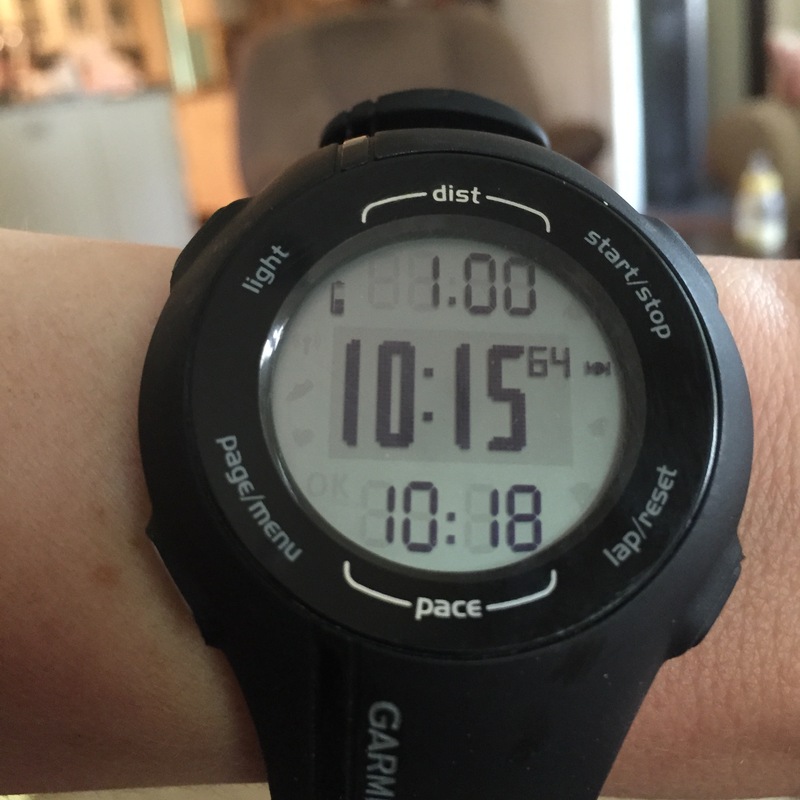 I used my Garmin watch to measure distance. 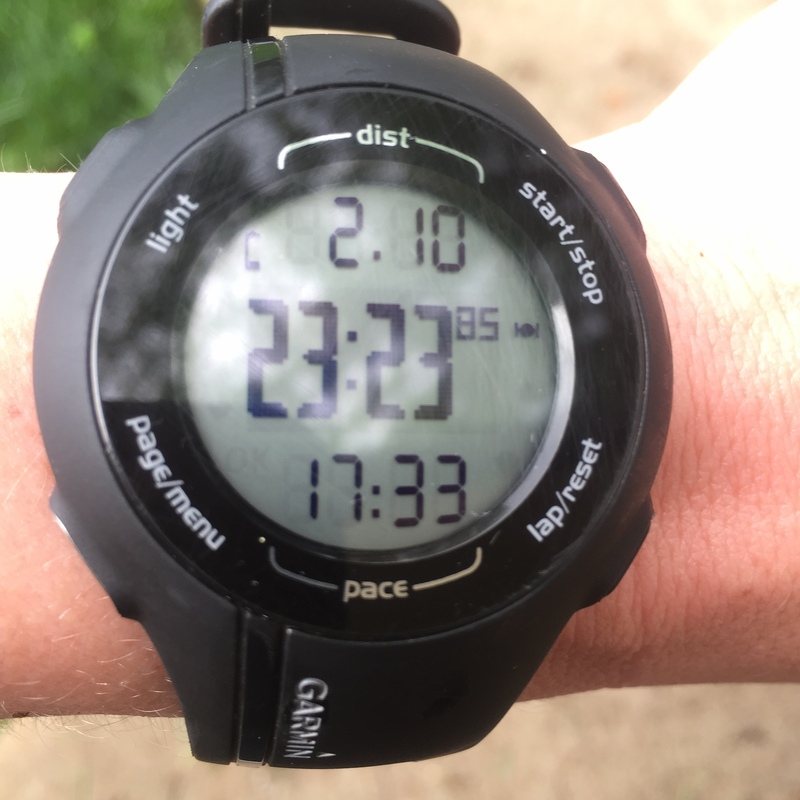 Average pace – 8:32/mile. My sprints were average 7:45 pace, my recovery about a minute and a half slower. The great thing about running this around a neighborhood is that I may be forced to run some of my sprints uphill or downhill. It is hard to anticipate the grade of incline. Wednesday 4/29 – Day off! That’s right. I was up late and needed to rest. I listened to my body. Pump BEFORE you go. The longer you wait, the bigger (and HEAVIER) they get. Fill a cup of water for yourself to drink while you pump. You are losing fluid. You need this. Feeling hungry all the time while breastfeeding? It’s usually because you aren’t drinking enough water. This goes for every day life. Don’t worry about your weight too much. It fluctuates so much depending on when you have pumped, etc. While I bring up weight on the blog, it really doesn’t matter if my clothes don’t fit. My goal is to be back in my pre-pregnancy clothes. I can now button most of my clothes, but they aren’t that comfortable. I have some work to do still. In the end, what really matters is that we are feeling good. Baby is smiling, mommy is healthy. I have been getting a lot of questions about Flywheel. I am cleared. I am good to go. I am working on my schedule now with management. I will be subbing as much as I can. Trust me, I want to be back more than you know. I am in studio riding in classes, and I would love to go for a walk or get together when schedules permit. 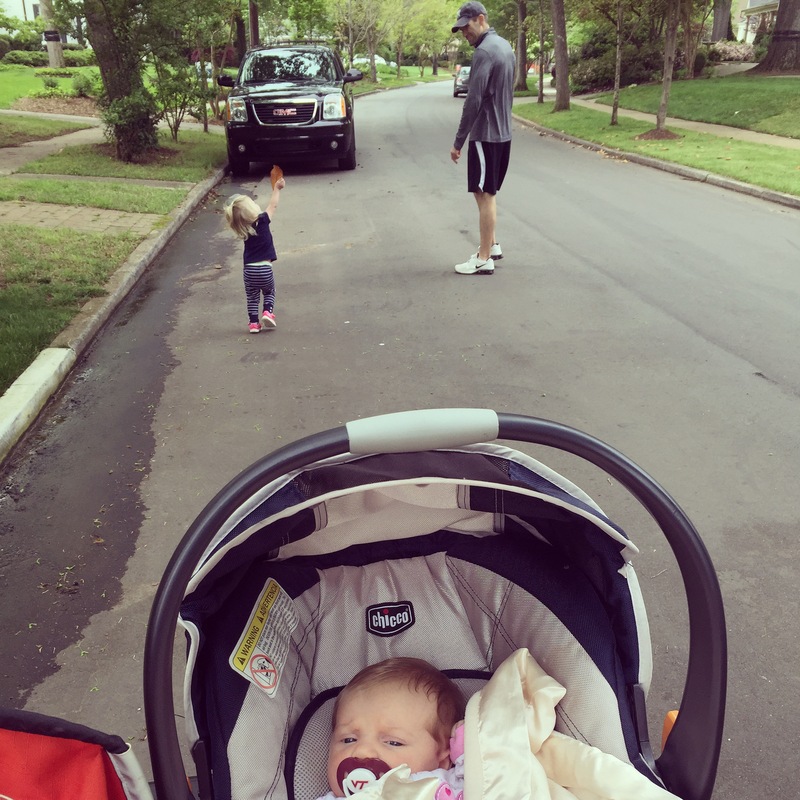 This entry was posted in Staying fit, workout and tagged postpartum exercise, week 6 postpartum on April 30, 2015 by flyjenduf. This week was the week. Monday morning I had my six week postpartum check up. 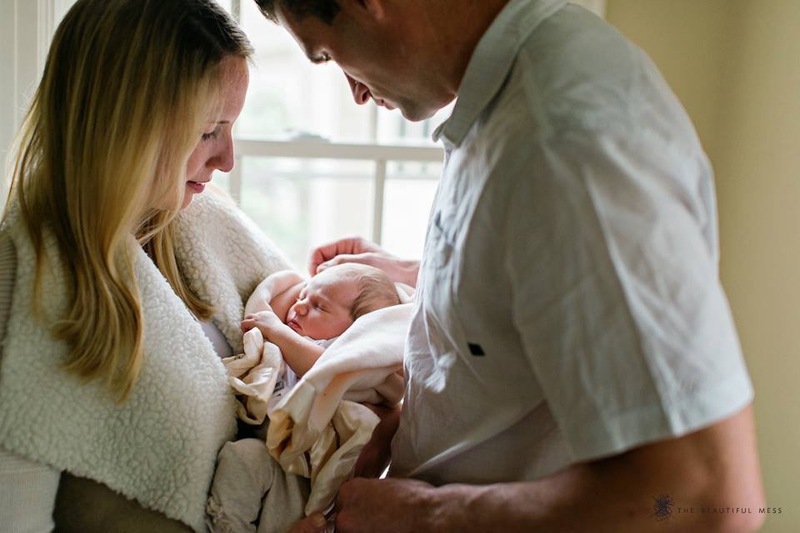 Essentially at this visit the doctor examines the birthing area and asks a series of questions necessary to give a new mom clearance to resume normal activity. I have to admit that I had resumed the majority of my routine prior to this visit. I literally had the entire morning planned out by the minute prior to going to bed Sunday. Whenever I think I have it all figured out, it always seems like I am reminded how unselfish you have to be as a parent. While my children were all smiles for the start of yet another week, I woke up to a message that our sitter was sick. 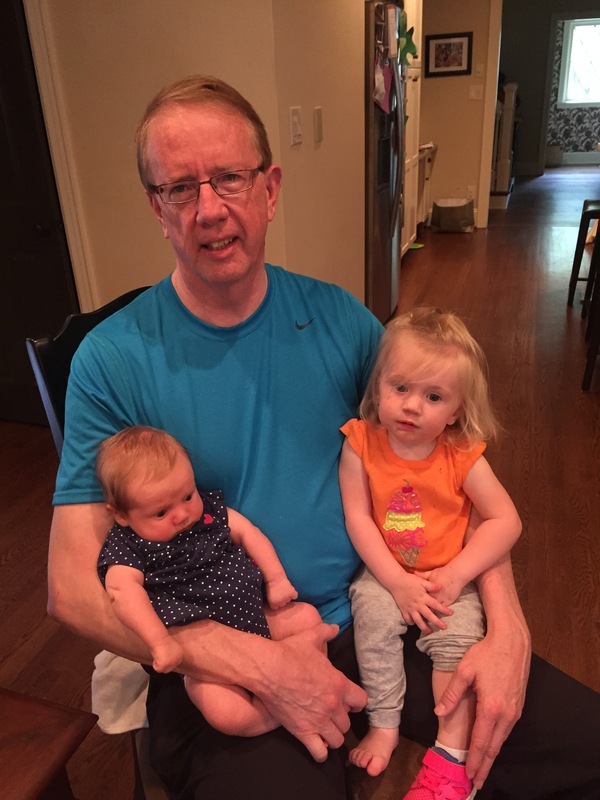 While I was glad that she was not coming, because she and I both had no desire for her to come over and get my children sick, I was scrambling to figure out how to reconfigure my morning. Workout gone. Errands gone. What was I going to do with my kids while I was at the doctor? Thankfully my neighbor was able to take my oldest daughter for the hour that I was at the doctor. However, prior to me dropping her off across the street, she so kindly blew out a diaper and proceeded to rub it all over her Pottery Barn chair. You know those overpriced styrofoam chairs (seen below). Awesome. Yet another thing to add to my already hectic morning. Who doesn’t want to do a load of laundry first thing in the morning, instead of taking a much needed shower? This is parenting. Sh*t happens. Literally. I lugged my infant to the doctor with me. Thankfully, my exam went fine. Final verdict – I am good to go physically, and my doctor was actually happy to hear that I already started resuming my regular activities. That said, I still had no plan of how I would get a workout in that day. I have to admit, I get pretty grumpy when I plan a workout and don’t do it. Especially when I am trying to lose post pregnancy weight. 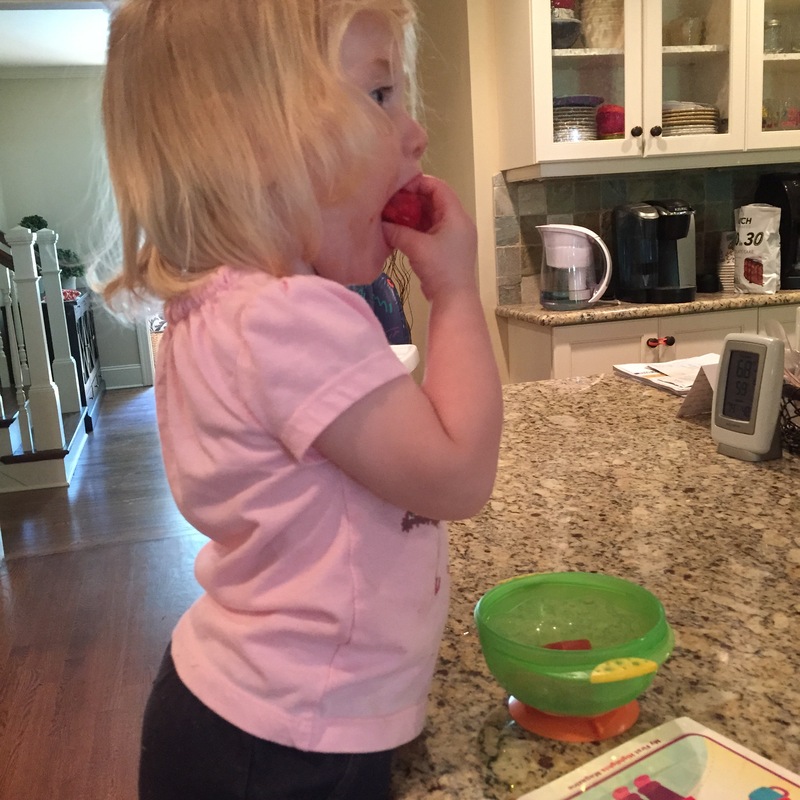 As soon as I got home from the doctor, both girls ate lunch and (gasp!) took a nap at the same time. As unmotivated as I felt, I rallied up the energy to do a workout in the living room while they both slept in front of me. I needed something that would make me sweat, was mindless and would work my legs. My hips are where I carry all of my weight with babies. 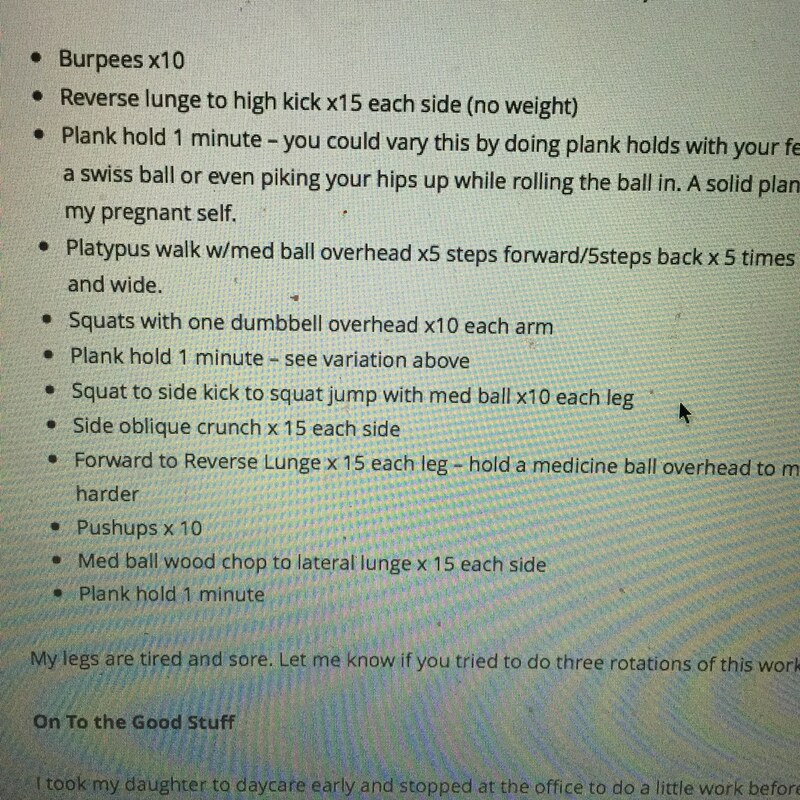 I took a picture of an old workout from this website! BOOTY burner. Try it. Two rounds. 28 minutes. I even had enough time to jump in the shower before they woke up. Crisis averted! My afternoon was now wide open. It is amazing how much better I feel when I workout for just a half hour. I wish more people would try it. With extra time, I was finally able to make a new edamame salad recipe that my sister-in-law had sent me. I like easy. I like healthy. The recipe was from a cooking website, however, I put my own twist on it based on what was in our pantry. Notice I didn’t put detailed amounts for anything? That’s because I made it based on what we had and what we like. We had leftover black beans from taco salads earlier in the week that I threw in. I tried to balance the corn, tomatoes and edamame with the beans. I then added cilantro, olive oil, lime juice and salt to taste. Serve cold. Such an amazing dish to eat at home or even bring to a barbecue! 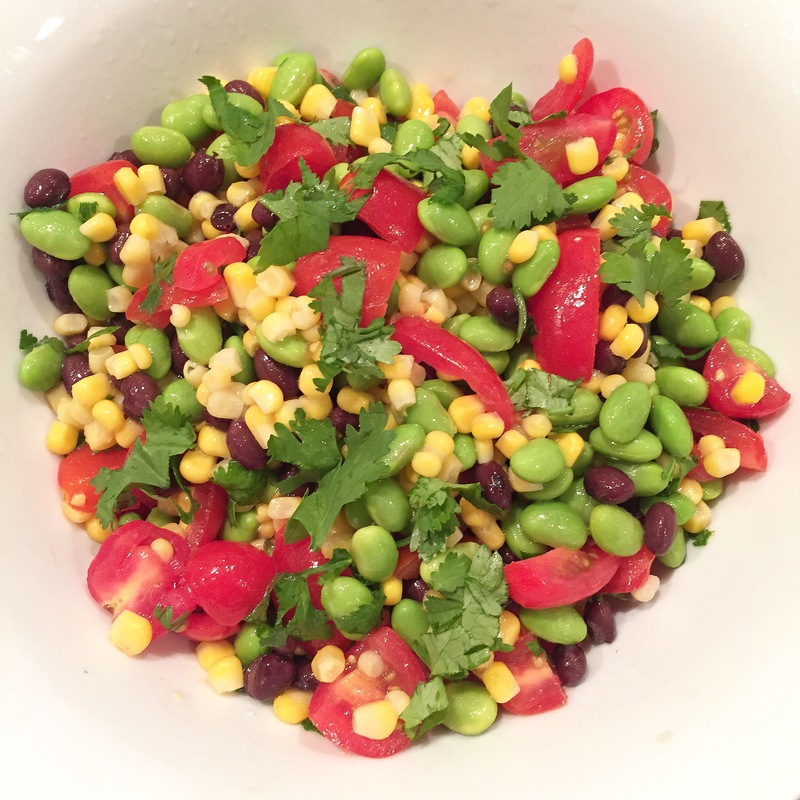 This entry was posted in food, Staying fit and tagged at home workout, edamame salad, postpartum checkup, recipe on April 28, 2015 by flyjenduf. 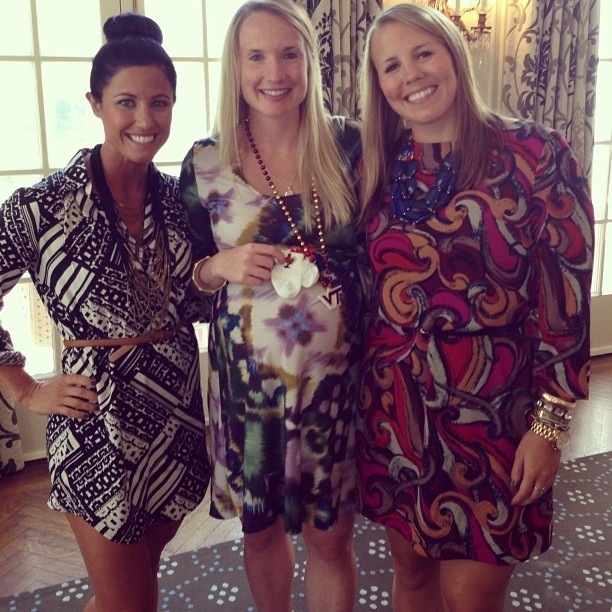 In anticipation of the arrival of our first daughter, I had four baby showers. That’s right, four. At the time, I was working at two different jobs (both of which held separate showers). 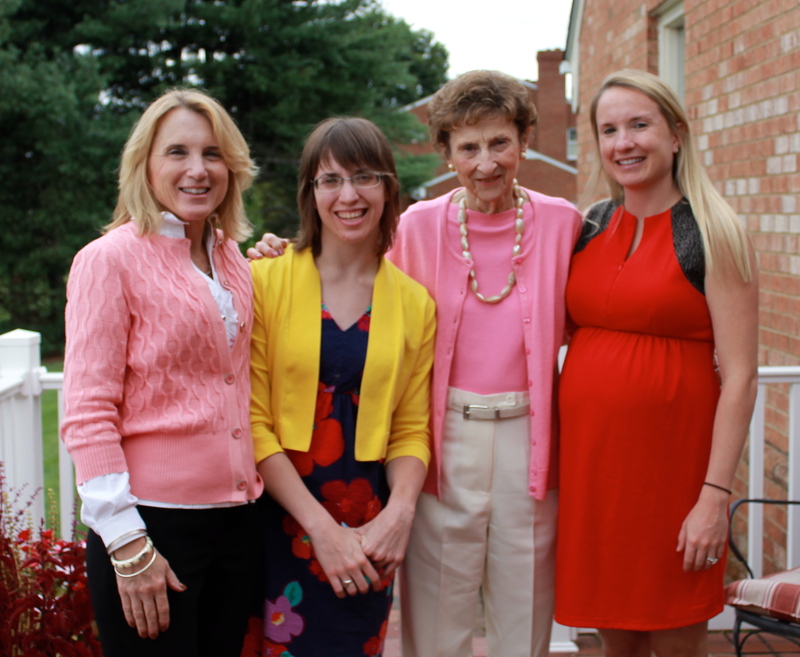 I traveled back to Virginia to celebrate with my dad’s extended family (see below). I finished off the drawn out celebration with a beautiful shower in Charlotte, hosted by mom, with my closest friends and family. We were overwhelmed with tangible gifts that truly set us up with more than everything that we would need for a better part of the first year. We were extremely blessed. 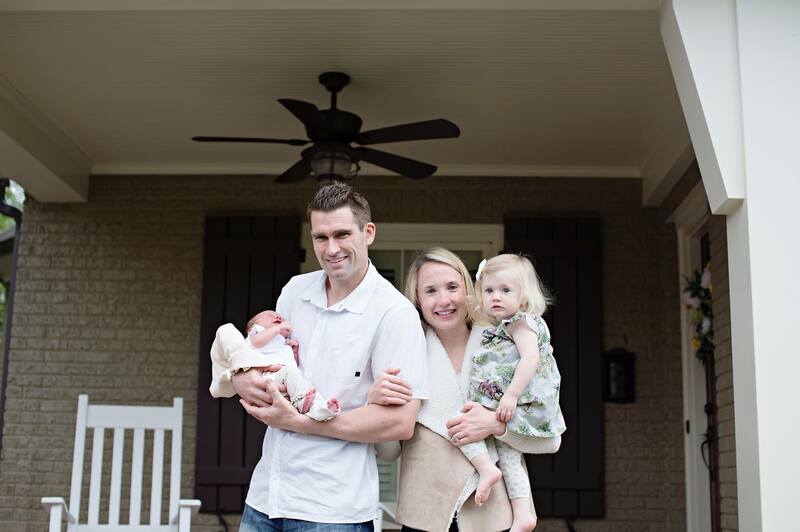 At the time, we were temporarily living in a condo while our home renovation was being complete. We filled every inch of space with baby stuff (most of which we realized we wouldn’t need until after we got back into our house). When our daughter was born, we had little to no room for visitors and for the most part kept to ourselves. We had some visitors, but we didn’t make too much of an effort to bring outsiders in to meet our daughter the first few weeks. The doctors instill that fear for some reason that you need to seclude yourself when you leave the hospital. That was that pregnancy. My second pregnancy would again bring so many changes. 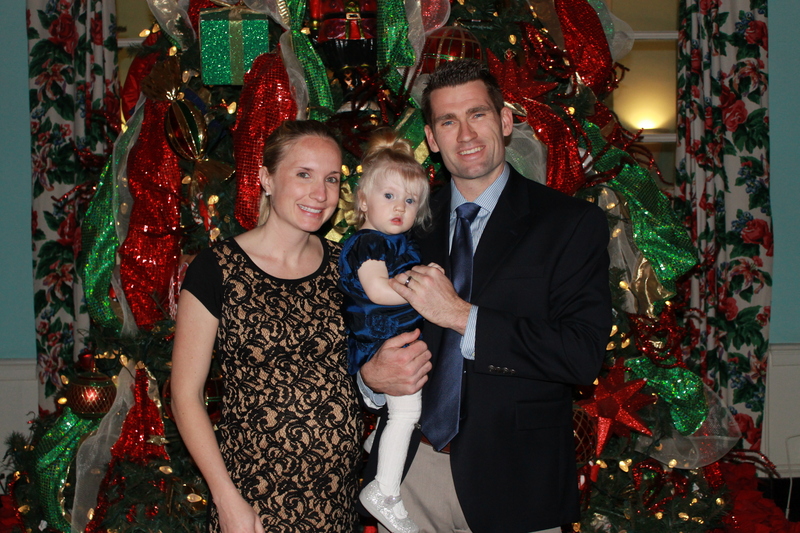 In September 2014, we found out that we were expecting our second girl. Instead of planning shower after shower, we decided to hold off on any major celebrations. I was in the process of transitioning out of my full time job and with limited time over the holidays, we opted to spend quality time with friends and family (rather than squeeze it into a party). We really didn’t need tangible things. We had them. This pregnancy we needed support. While this pregnancy may have seemed like a breeze for me (at least the last few months), it didn’t start that way. In fact, it is incredible how far I have come since those first few weeks. There is a reason the doctors tell you not to share your exciting news until the end of the first trimester. We almost lost our sweet girl at just five weeks. Most people didn’t know what I was going through at the time. They didn’t need to. I put on a smile (like in the picture above) and played out my life like I wasn’t worried every second of the day that this baby might not make it. She is a fighter. She made it. So did I. Over the next few months, the tangible things didn’t matter so much. The support from each and every friend and family member that reached out to us will never be forgotten. People that I didn’t know cared, brought food, called and checked in. I can’t tell you all how much that meant to me. At a time of extreme anxiety, you all made me feel like everything would be okay. 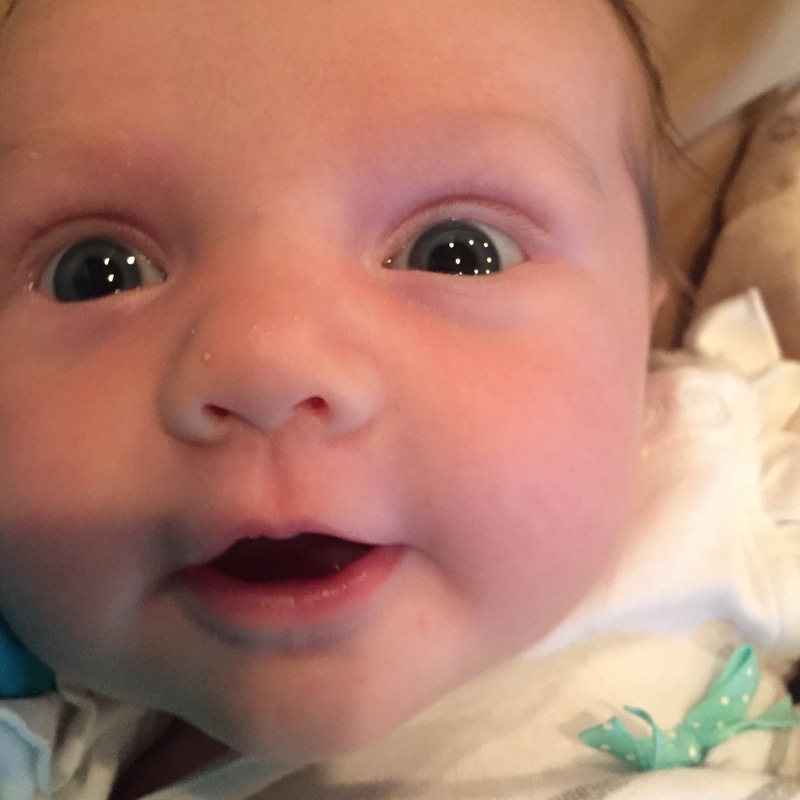 With no shower, I didn’t expect much before (or after) our daughter was born. We didn’t need much. We had a healthy daughter. To my surprise, an overwhelming number of people reached out immediately to bring meals, gifts and most importantly, to stop by for fellowship. I hate that I didn’t start documenting the healthy surprises that we received earlier. Forgive me, I just had a baby! In fact, my husband was the one that suggested that I start taking pictures of all of the healthy treats that we received. Treats that would ultimately help us get through the first few weeks. 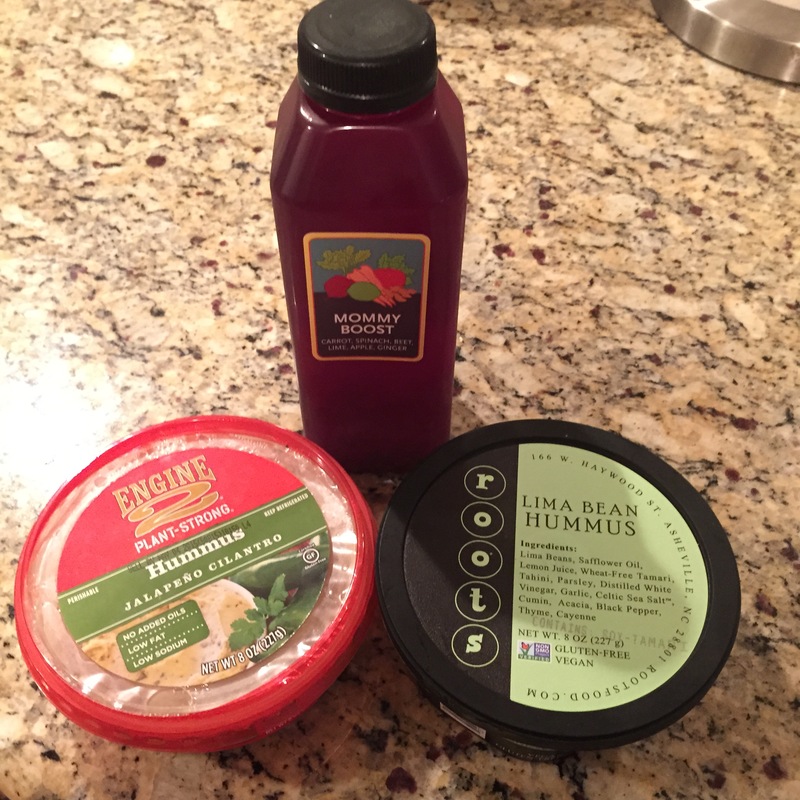 Veggie tray with a variety of hummus (see top picture) – easy to snack on, perfect for a busy, breastfeeding mom with a toddler. 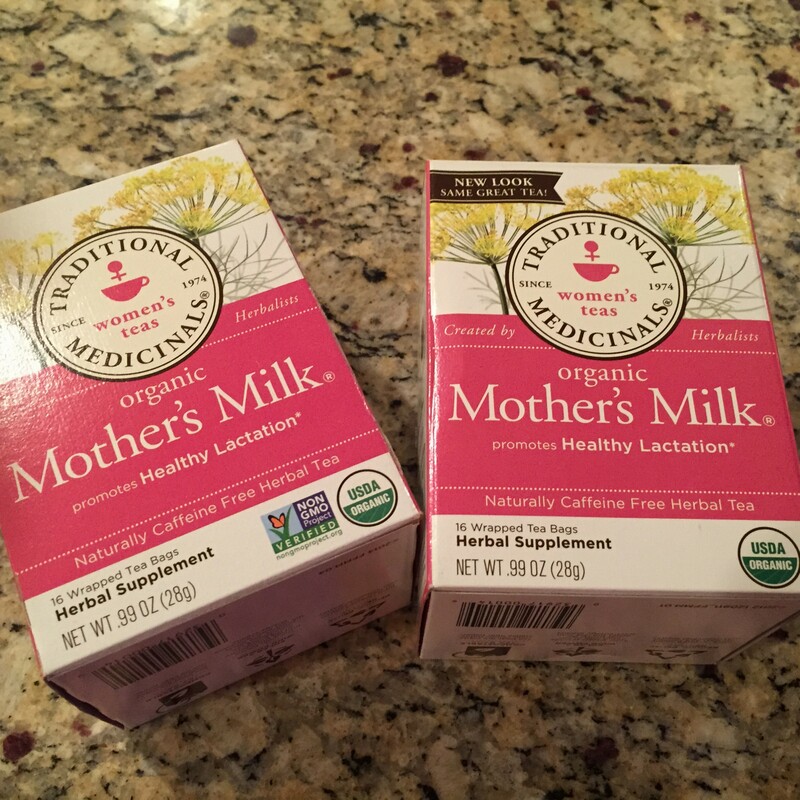 Mother’s Milk caffeine free tea – for the mom’s that you know are breastfeeding. Gifts cards – Anywhere! Grocery store, family friendly restaurants, Target. Dinner – We had countless dinners. As tempting as it is to bring over comfort food, look for ways to bring over healthier dinners. I am still trying to accumulate recipes for all of the delicious food that we received. One of my favorites – Tex Mex Lasagna. See picture and recipe below (variation from Cooking Light magazine). Preheat oven to 450 degrees. Combine first four ingredients. Spread 2/3 cup sauce in the bottom. Add noodle layer, add half of beans and half of corn. Top with 2/3 cup of sauce. Repeat layers once. Top with remaining noodles and remaining sauce. Sprinkle with cheese (optional). Cook 30 minutes covered until bubbly and uncover and cook until slightly brown. Let stand 15 minutes. Top with scallions and cilantro. Serve with sour cream and avocado slices. Diapers – you don’t even have to buy them. We had neighbors that had leftover diapers from prior children. They are done having kids now. They dropped off bags. Perfect. Every little bit helps! 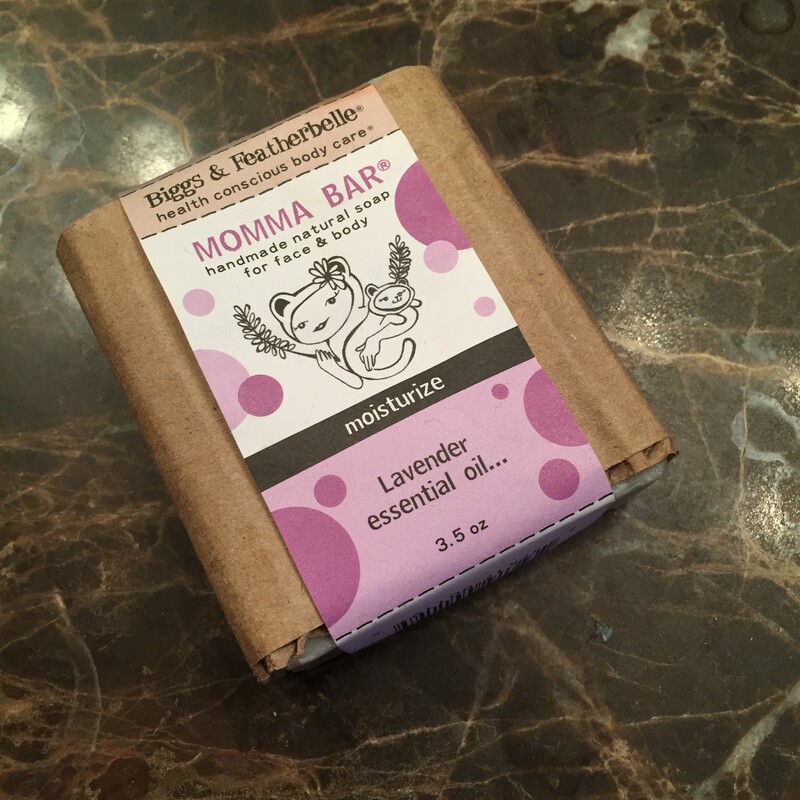 Momma Bar soaps – Anything that indicates to my husband, this is mine don’t touch it. Kidding. Kind of. 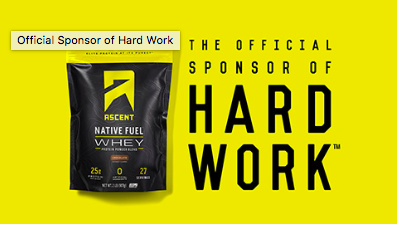 “Top Notch” Fitness products – See picture below. Get it? My sister-in-law sent us a package of this new line of protein shakes to try. What does 30 in 30 mean? 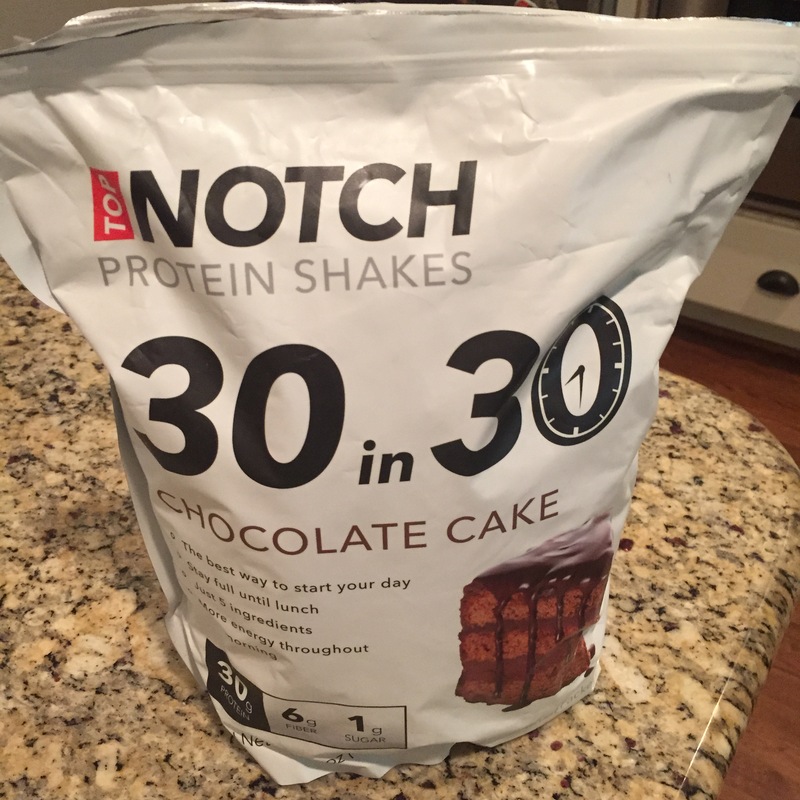 30 grams of protein, 30 minutes after a workout. She is in the fitness industry in Miami, FL. She sees things coming before I do. With that much protein and only five ingredients, you would be surprised how great these little packages taste. They also only have 130 calories. 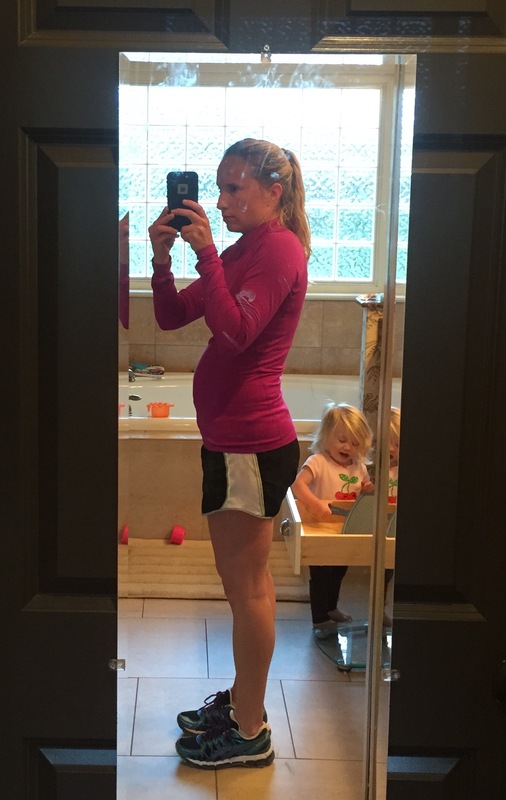 Um, for a new mom, looking to rebuild muscle and lose baby weight. Perfect. Did I mention the flavor she sent was chocolate cake? 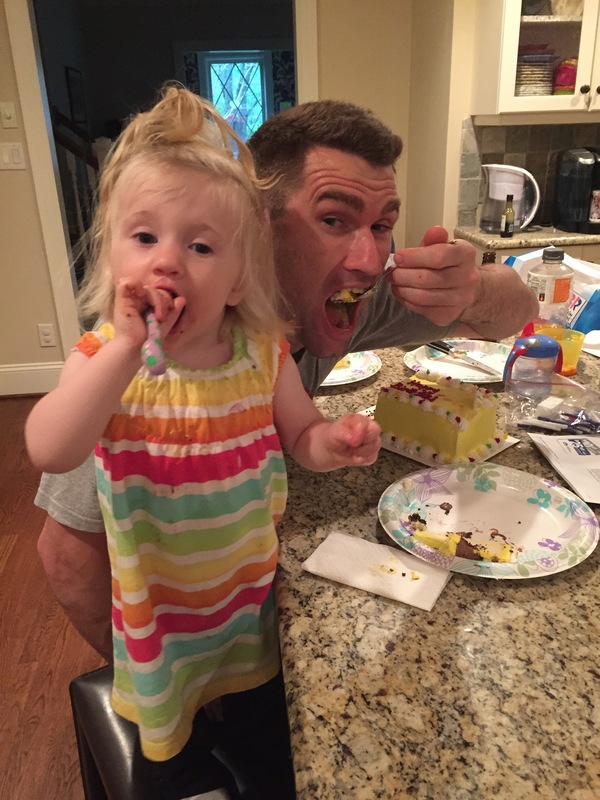 Who doesn’t want dessert after a workout? In almost every big celebration a person goes through in their life, perception tends to be that a gift is necessary. 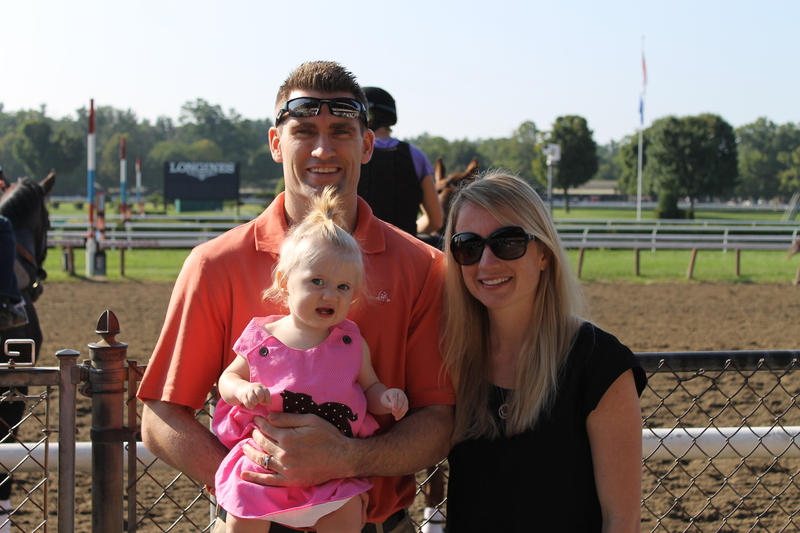 In this instance, we have found that the little things are what have meant the most to us. Memories last a lifetime. Each and every visit, card, phone call or text will be remembered. From our family to yours, thank you. 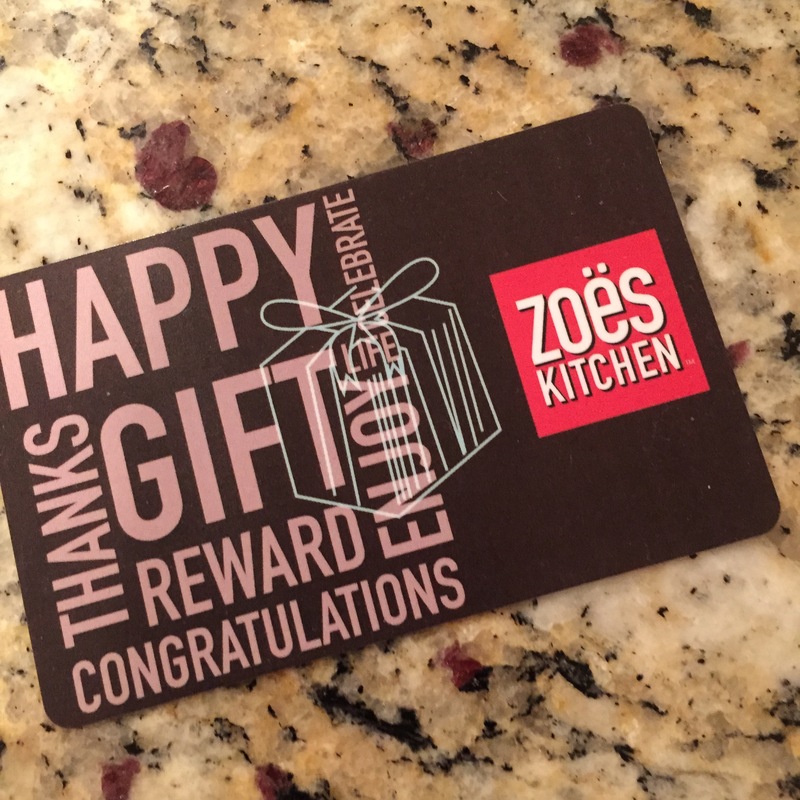 This entry was posted in Uncategorized and tagged biggs & featherbelle momma bar, post pregnancy gifts, post pregnancy recipe, tex mex lasagna recipe, top notch protein shakes, traditional medicinals mother's milk, whole foods, zoe's kitchen on April 25, 2015 by flyjenduf.